L.D. 90, “An Act To Strengthen Maine’s Workforce and Economic Future”: closes the skills gap by strengthening the place-based economic engines such as downtowns, farms etc. L.D. 72, “An Act To Open the St. Croix River to River Herring”: emergency bill, provides that, by May 1, the commissioner of Marine Resources and the commissioner of Inland Fisheries and Wildlife must ensure the fishways on the Woodland Dam and the Grand Falls Dam located on the St. Croix River are configured in a manner that allows the passage of river herring. L.D. 486, “An Act To Provide for the Effective Marketing and Promotion of Maine Lobster”: increases the surcharged on harvester and dealer licenses, changes the criteria for membership on the Lobster Promotion Council and requires the council to report annually to the joint standing committee, the Lobster Advisory Council and the lobster industry. L.D. 584, “An Act To Provide for Passage of River Herring on the St. Croix River in Accordance with an Adaptive Management Plan”: requires that the fishway on the Grand Falls Dam allow passage of river herring in accordance with the Adaptive Management Plan. L.D. 632, “An Act To Improve Enforcement Mechanisms to the Elver Industry and To Make Technical Changes to Maine’s Marine Resources Laws”: authorizes the seizure of a bulk pile that contains illegally harvested elvers, prohibits the possession of elvers outside of the open season, restricts courts from suspending all or a portion of fines for elver violations, reduces the daily number of marine worms harvestable for personal use, restricts the allowable landings of northern shrimp for personal use to one tote, specifies size limits on scallop spat collected and sold for placement on a lease site, expands the sources of funds available to an aquaculture fund and clarifies that Atlantic salmon raised for restoration purposes are not exempt from certain fishing prohibitions. L.D. 643, “An Act To Create a Tax Incentive Program To Improve the Maine Lobster Industry”: provides a sales tax refund and exemption, beginning July 1, 2013, to encourage capital investment in commercial lobster processing companies in the state and creates a working group that will examine broader issues and make recommendations by Jan. 15, 2014 for improving the competitiveness of commercial lobster processing companies. L.D. 731, “An Act To Increase the Number of Elver Harvesting Licenses and Preserve the Fishery through Conservation”: establishes special elver fishing license lotteries in 2014 and 2015 where a person who possessed an elver fishing license in 1996, 1997 or 1998 or a person who has never held an elver fishing license and is not otherwise eligible may obtain that license, increases the overall number of pieces of gear that may be used for fishing for or taking elvers, prohibits harvesting yearling elvers, increases from 2 days to 3 days per week the closed period for elver fishing, establishes the Eel and Elver Advisory Council and establishes the Eel and Elver Advisory Council. L.D. 748, “An Act Regarding the Passage of River Herring on the St. Croix River”: emergency bill, requires the commissioner of Marine Resources and the commissioner of Inland Fisheries and Wildlife to ensure by May 1 that fishways on the Woodland Dam and the Grand Falls Dam allows the unlimited passage of river herring. L.D. 786, “An Act To Ensure the Voluntary Membership of Public Employees in Unions”: ensures that each public sector union represents only the public employees who are voluntarily part of the union and requires a public employee union to determine annually their bargaining agent. L.D. 831, “An Act To Prohibit Mandatory Membership in a Union or Payment of Agency Fees as a Condition of Employment”: prohibits a person from being required to join a labor organization or pay any labor organization dues or fees as a condition of or continuation of employment and makes violation of this a class D crime. L.D. 1045, “An Act To Establish the Forensic Advisory Committee”: creates the Forensic Advisory Committee, which reports to the attorney general, to review and make recommendations about the operations of the Office of the Chief Medical Examiner, the Maine State Police Crime Laboratory and the forensic chemistry section of the Health and Environmental Testing Laboratory. L.D. 401, “An Act To Provide Local Sales Tax Increment Disbursements”: requires the state to pay municipalities 5 percent of the difference between their sales and use tax for the fiscal year and 2015-16. If the amount collected is less than 2015-16 the municipality recieves no payment. L.D. 936, “An Act To Authorize Municipalities To Impose Service Charges on Tax-exempt Property Owned by Certain Nonprofit Organizations”: authorizes municipalities to impose service charges on owners of certain real property that is currently exempt from property tax. L.D. 328, “An Act Relating to Radon Testing and Disclosure to Tenants”: provides that radon testing is not required, but requires the disclosure of a radon hazard to tenants and prospective tenants when a landlord is made aware of test results indicating the presence of a radon hazard and mitigation has not been performed to reduce the level of radon. L.D. 459, “An Act To Amend the Law Concerning a Landlord’s Right To Inspect Property”: requires a tenant who is unable to provide a landlord access to the dwelling unit upon 24 hours’ notice to set up an alternative time within 72 hours when the landlord may be granted access to the dwelling unit, if the tenant fails to do so and denies the landlord access the landlord is authorized to enter the dwelling unit without consent of the tenant. L.D. 575, “An Act To Amend the Laws Relating to Radon Testing”: allows, instead of requires, landlords and tenants to conduct radon tests on residential housing units located below the third story, if a second test reveals no radon than the positive first test does not require notice to the tenants, allows a landlord to terminate a lease following a test indicating a presence of radon instead of mitigation and requires a landlord to provide notice of a positive radon test in the common area of a building. L.D. 659, “An Act To Reimburse Philip Wolley for Litigation Expenses Incurred in Connection with His Termination and Reinstatement as a State Employee”: adds $28,000 to reimburse Philip Wolley for litigation expenses incurred in connection with his termination and subsequent reinstatement as a state employee. L.D. 111, “An Act To Restrict the Sale, Purchase and Use of Fireworks in the State”: repeals the law that permits the sale, purchase and use of consumer fireworks. L.D. 168, “An Act To Establish Reasonable Restrictions on the Use of Fireworks”: restricts the sale and use of fireworks based on factors such as the fire danger level, presence of farm animals, interests of summer residents and tourists, interests of year-round residents etc. L.D. 238, “An Act To Designate the Jail in Franklin County as a Jail Rather than a Holding Facility”: specifies the Franklin County Detention Center as a jail and not a holding facility. L.D. 456, “An Act To Protect Farm Animals from Noise from the Discharge of Fireworks or Explosives”: prohibits the use of consumer fireworks or explosives, either loose or contained in a tube or other enclosure, within one mile of a field or pasture that contains livestock. L.D. 478, “An Act To Require a Local Permit for the Use of Fireworks”: provides that a person who wishes to use consumer fireworks must obtain a permit from the same authority as those who issue open burning permits, and will be issued in the same manner as open burning permits. L.D. 593, “An Act To Require That Carbon Monoxide Detectors Be Installed inside Educational Facilities”: requires carbon monoxide detectors or carbon monoxide detection and warning equipment to be installed in existing and future educational facilities for elementary or secondary education. L.D. 663, “An Act To Change the Time Restriction on the Use of Fireworks”: reduces the permissible hours when fireworks may be used to between the hours of 9:00 a.m. and 9:00 p.m.
L.D. 820, “An Act Regarding Fire Escapes for Certain Buildings”: eliminates a conflict in law by repealing the provision that provides that a person, firm or organization that violates the law pertaining to the installment and maintenance of fire escapes commits a civil violation. L.D. 883, “An Act Regarding the Sexual Assault Forensic Examiner Advisory Board”: gives the Sexual Assault Forensic Examiner Advisory Board the authority to issue certificates to persons who complete sexual assault forensic examiner training and provides that certification by the board does not constitute licensing. L.D. 439, “An Act To Improve Maine’s Charter School Laws”: requires that an authorizer has 90 days from the deadline for submission of applications to make a decision on public charter school applications and requires the authorizer to be clear about expectations when requesting a resubmission of an application. When students move into or out of public charter schools after the beginning of the school year the March and June payments are required to be adjusted. L.D. 533, “An Act To Eliminate the Requirement That Local Funding Follow a Pupil to a Charter School”: requires only that the states contribution to the per-pupil allocation follow a student to a public charter school and the local contribution follows a student attending a public charter school established solely to address the needs of at-risk students and limits the state’s contribution to per-pupil allocation that follows a student to a virtual public charter school to 20 percent except when that school is established solely to address the needs of at-risk pupils. L.D. 889, “An Act To Adjust Funding Forwarded from School Districts to Charter Schools”: changes the amount of per-pupil allocation a school administrative unit must forward to a public charter school o 50 percent and provides that the school administrative unit is not required to send funds if the student was not enrolled in a public school before enrolling in a public charter school. L.D. 1056, “An Act To Require Local Voter Approval for Charter Schools”: requires that approval of an application to establish a public charter school needs to be submitted and approved by the voters in all the communities proposed to be served by the school. L.D. 1057, “An Act Related to Public Funding of Charter Schools”: requires that the commissioner of education recommend an annual amount of state funding for students enrolled in public charter schools, provides that The amount of state funding provided by the Department of Education for a student enrolled in a public charter school may not exceed the combined level of federal, state and local per-pupil funding that would have been provided for the student if they remained in their old school, outlaws discrimination based on this money, provides that virtual public charter schools may not receive state or local funding, except that state and local resources allocated through the General Purpose Aid for Local Schools program and provides that school administrative units are not responsible for the transportation costs for a student who resides within the school administrative unit but who enrolls in a public charter school. L.D. 1033, “An Act To Help the Unemployed Find Work”: requires that to maintain eligibility for unemployment benefits after receiving 13 times the individual’s weekly benefit amount in a benefit year they must register for temporary employment though a temp agency and provides that a new claim for unemployment benefits for a claimant who has stopped filing for benefits and then begins again within the same benefit year is effective for both the week in which the claimant files and the prior week. L.D. 1035, “An Act To Report Certain Information in Response to Growing Financial Inequality”: requires every employer who employs more than 25 employees to report to the Department of Labor the ratio of the financial compensation of the highest paid employee to the lowest paid employee. L.D. 1041, “An Act To Modify the Mandatory Enforcement of the Maine Uniform Building and Energy Code for a Municipality without a Building Code”: allows a municipality of more than 4,000 residents that has not adopted a building code and rejected the Maine Uniform Building and Energy Code be exempt from the Maine Uniform Building and Energy Code, but if it does adopt a code it has to be the Maine Uniform Building and Energy Code. L.D. 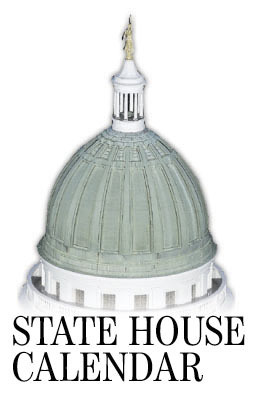 80, “An Act To Change the Schedule for the Beginning of the Biennial Budget Cycle”: shifts the start of the fiscal biennium for the state budget to the second regular session of the Legislature beginning July 1, 2016 making the budget beginning on July 1, 2015 a one-year budget. L.D. 805, “An Act To Require Notice to and Input from Municipalities in Which Certain Group Homes Are Located”: requires the Department of Health and Human Services to provide the specific location and detailed information of a residential facility providing services to forensic patients to the municipality 120 days prior to the facility’s opening or to signing a contract with a community agency to provide residential services. L.D. 1021, “An Act To Establish as a Public Record the Performance Evaluation of a Municipal Employee”: removes from the list of confidential records the performance evaluation of a municipal employee. L.D. 1084, “An Act To Amend the Androscoggin County Charter”: proposes to amend the Androscoggin County charter. L.D. 614, “An Act To Adjust Fuel Taxes To Improve Sustainability”: changes the excise tax on gasoline, distillates and low-energy fuel to a formula that includes a fixed amount per gallon plus 5% of the retail value of that gallon. L.D. 693, “An Act To Provide Solar Energy Tax Credits to Maine Homeowners”: provides an income tax credit for installations of qualifying solar energy systems for $1,000 on residential property and $2,000 for commercial property. L.D. 866, “An Act To Create an Income Tax Credit for Educational Supplies Purchased by Public School Employees”: provides an income tax credit of up to $500 to teachers and educational support staff for the purchase of books, supplies, supplementary materials, services and equipment that is used for teaching students at the high school level and in elementary grades in a public school. L.D. 169, “An Act To Provide Revenue to Veterans’ Organizations and the Maine Veterans’ Memorial Cemetery System Care Fund from Table Game Revenue”: emergency bill, directs 2 percent of the net table game income at a casino to the Coordinated Veterans Assistance Grant Fund which give grants to assist veterans’ service organizations. L.D. 213, “An Act To Provide Funding for Transportation of Veterans to Medical Facilities”: gives $30,000 to the operating costs of the Disabled American Veterans transportation network. L.D. 510, “An Act To Ensure Equity in Funding to State Postsecondary Institutions of Higher Learning”: directs the Department of Public Safety, Gambling Control Board to forward 4 percent of revenue from slot machines to the Board of Trustees of the Maine Maritime Academy to help fund its scholarships program. L.D. 592, “An Act To Amend the Laws Dealing with the Purchase of Wine Online”: allows a person to purchase wine online from a wine retailer as long as the retailer has obtained a wine direct shipper license and exempts a wine retailer or winery that qualifies for a wine direct shipper license from a $200 application fee if they agree to ship no more than 100 bottles into the state in a calendar year. L.D. 608, “An Act To Assist Maine Businesses Paying Taxes on Spirits”: permits a distiller that is an in-state manufacturer to pay the Department of Administrative and Financial Services, Bureau of Alcoholic Beverages and Lottery Operations the difference between the retail price and the amount the alcohol bureau pays the manufacturer for the product. L.D. 787, “An Act To Encourage Municipal Infrastructure Improvement”: expands the permissible uses for municipal incentive development zones to include municipal infrastructure improvements and provides that increases in the equalized just value of industrial and commercial property within a municipal incentive development zone will not be included in the just value of the municipality for the purposes of education funding. L.D. 814, “An Act To Clarify the Request for Proposal Process”: proposes to require the Department of Administrative and Financial Services, Bureau of General Services to notify winning bidders that, once their initial contract for supplying goods or services has expired, they are required to go through the request for proposal process again in order to continue providing their goods or services. L.D. 878, “An Act To Provide a Preference for Maine Bidders on State Contracts”: gives preference in the award of construction and public works contracts to workers and bidders who are residents of this state as long as their bids are not more than 5 percent over bids submitted by out-of-state bidders.